As Bob Marley used to say: “concrete Jungle”, that’s São Paulo a city for every need, that’s what generally any Brazilian would say; You are able to find anything you want there, and if it cant be found, we will get it for you, because that’s what we do, Brazilians are people pleasers. Brazilians have a funny way, on how to incorporate new customs and habits, especially if it is a foreign one, we really care about following the traditions at risk, but sometimes we can season it with our way. 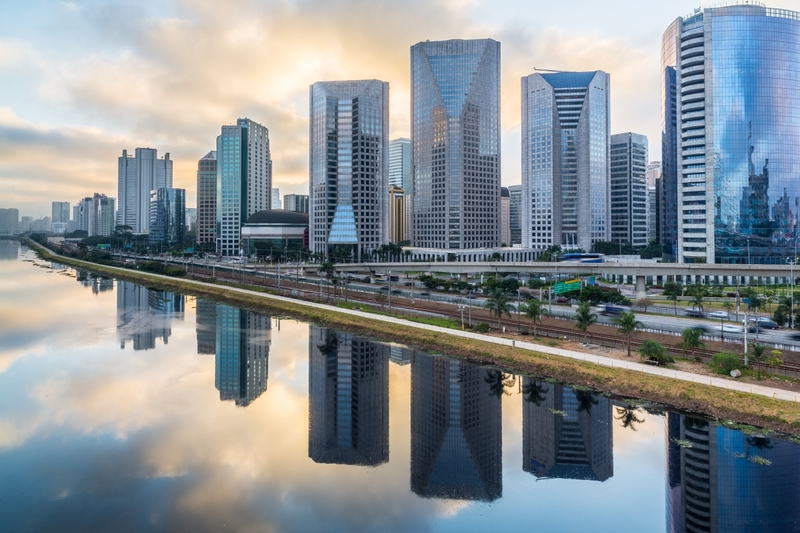 “Sampa”, a nickname for São Paulo is a very cultural city with its inner and outer influences. A very interesting Metropolis where lots of Brazilians take some time off to get to know many of the unstoppable parts of it. The Rock Galleryso unbelievable not only for the music, but also because of the locals, who have been there for more than 20 years fighting oppression, since once we were ruled by the Military system, which because of a lack of culture and wisdom tried to disseminate their space, due to the link Rock used to have with vandalism and drugs. Selling everything related to rock; from clothes, shoes, music and accessories to food and local band’s merchandises the Rock gallery is considered one of the most fashionable and enriching sites in São Paulo. There are also some tattoo parlors that have been recognized as very unique in designs. Following the Paulista you can find lots of interesting places, likecasa Rosada art gallerywith a charming café in the back to read a good book and take a break from our infernal heat. Walking forward we can findFIESPa multicultural Center, which puts together music, art, theaters, films, dance, exhibitions and projects for a better society. (http://www.fiesp.com.br) A community area more like a cultural spending time for families, couples, friends and even to be alone or make friends and get to know a little bit more about Brazil. Just in front of FIESP there is the Trianon park,a Green area perfect to relax and enjoy the beauty of it, especially when you feel like taking a break from our so called concrete jungle. For the Sport lovers like skaters and bikers, Paulista is a great place to enjoy the breeze there is a very long Cycling path right in the middle of the avenue which will take you until Liberdade Neighborhood. We can also count with several sport clubs like Pinheiros, Palmeiras etc holding challenging matches for your entertainment if you like to watch them. Brazilians are passionate for sports, we are very competitive people because we Love what we do, from soccer, volleyball and tennis to Basketball there is a match every week available for you to enjoy. Mercadão, as it is called by the Paulistanos consists of a huge pavilion full of flavors, colors and aroma,from fresh vegetables and fruits to meat, poultry and seafood of all kinds, pasta, sweets and top of the line spices from different parts of the world. Not to mention its Gourmet Lounge, which offers the opportunity to try tasty dishes there. Designed by architect Francisco Ramos de Azevedo’s office in 1926, Mercadão was opened on January 25, 1933. The stained glass windows were created by the Russian artist Sorgenicht Conrad Filho, famous for his works at the Sé Cathedral in São Paulo and other 300 Brazilian churches. In all, 32 panels are subdivided into 72 beautiful stained glass windows. The building – which occupies an area of 12,600 square meters of built area, on Tamanduateí River’s bank - employs more than 1,500 people, which together handle about 450 tons of food per day in its more than 290 boxes. The famous Bar do Mane is there as well, on Sundays you can see a very typical “Chorinho” show. It is open from Monday through Saturday from 6 am to 6 pm and Sundays and holidays from 6 am to 4 pm. Mercadão is on 306 Cantareira str, close to 25 de Março str. and Parque Dom Pedro. If going by subway, get off at “Luz” or São Bento subway stations (blue line). Catavento is a cultural and educational space that presents the science and social issues to the mainly young public in an attractive and interactive way. The exhibitions have been performed by renowned specialists, cinematographers and educational institutions. They present, in a simple and interesting way, a gamut of themes from these four knowledge areas. You can visit this site from Tuesday through Sunday, from 9:00 am to 5:00 pm, paying only R$ 6.00, and Saturdays the entrance is free but it is also very crowded. People are allowed to enter with notebooks, cameras and recorders, and flashes can be used. Plastic bags, food and drinks are not allowed. Cell phones must be turned off or in silent mode and smoking is not allowed.